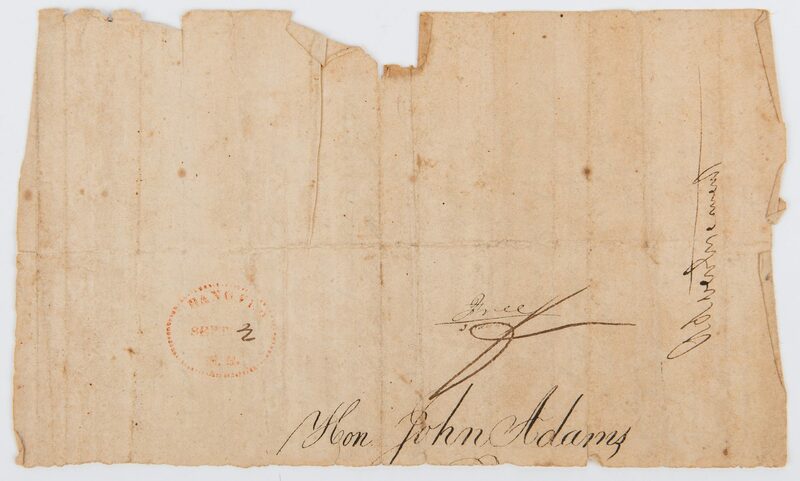 John Adams archive, 4 items total. 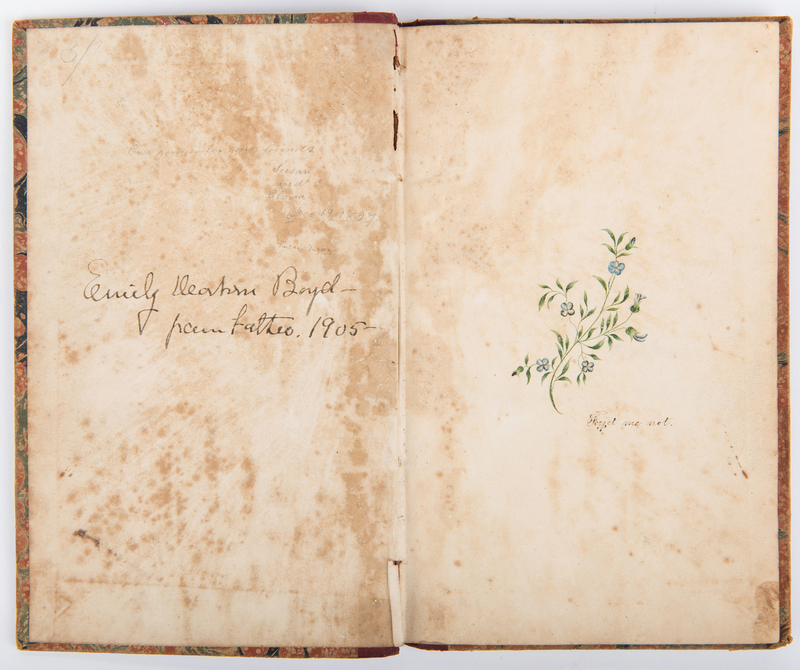 1st item: Autograph book belonging to Susan Dayton Harrod Boyd (b. 1813), signed by John Adams, Second President of the United States and her great-great grandfather. 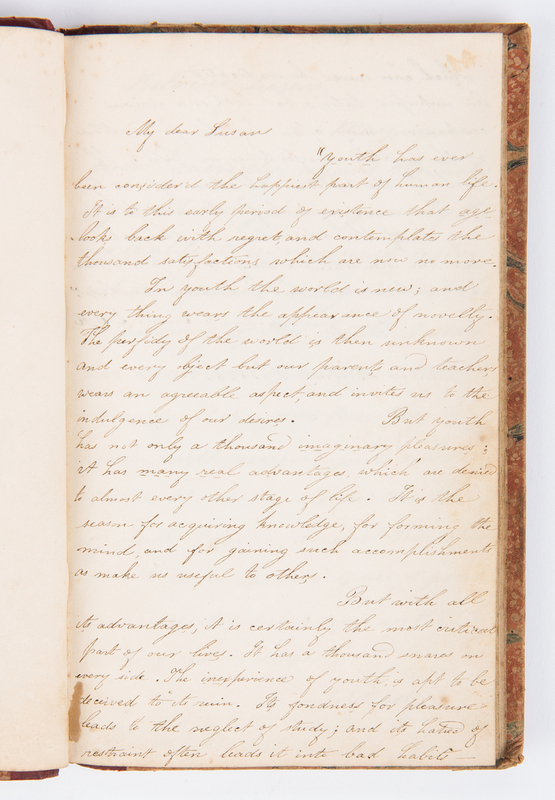 Hardbound with marbled paper covers and red leather spine with gilt line decorations. The signature, written in Quincy, Massachusetts, less than a year before his death, appears on the first page of the book with an inscription reading "My young friend Remember thy Creator in the days of thy growth and in the extreme stage of thine old age, He will be thy comfort and support. 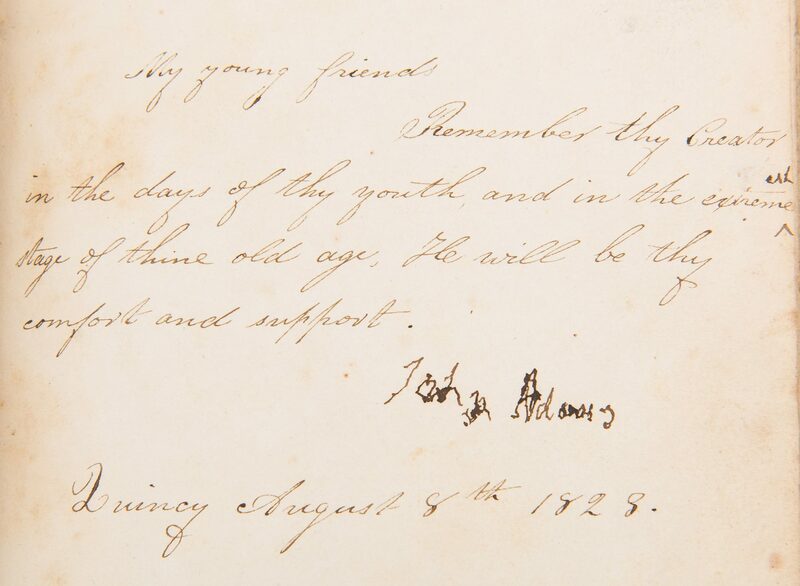 John Adams Quincy August 8th 1823". 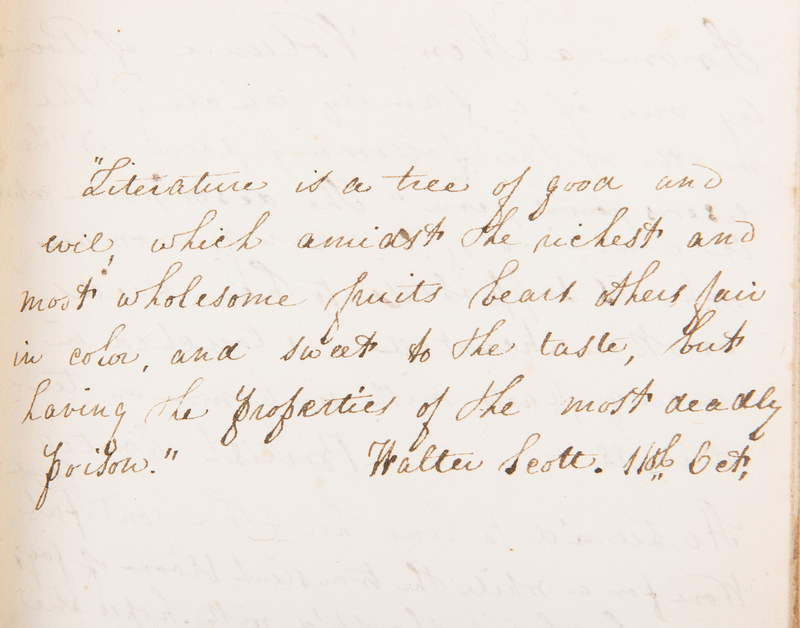 The inscription was written by Susan's cousin Elizabeth Coombs Adams and is based partially on Ecclesiastes 12:1. 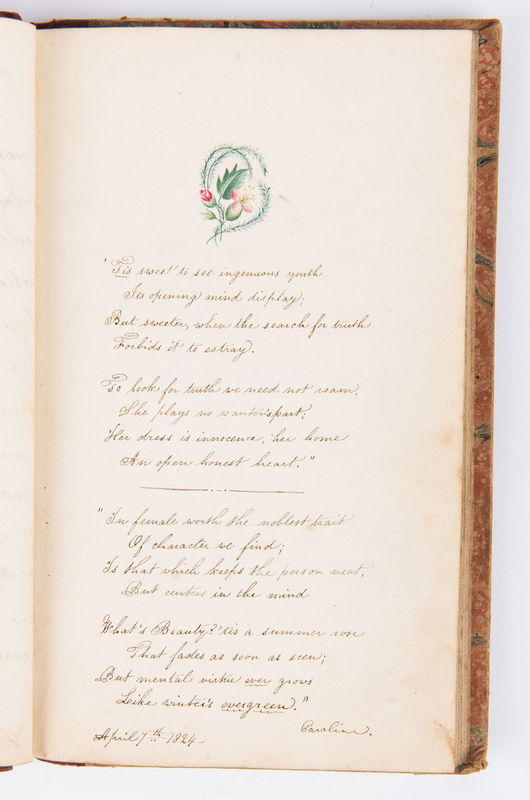 The book is mostly filled with poems and letters from Susan's friends and relations, including Elizabeth and Caroline Harrod, Elizabeth's first cousin. 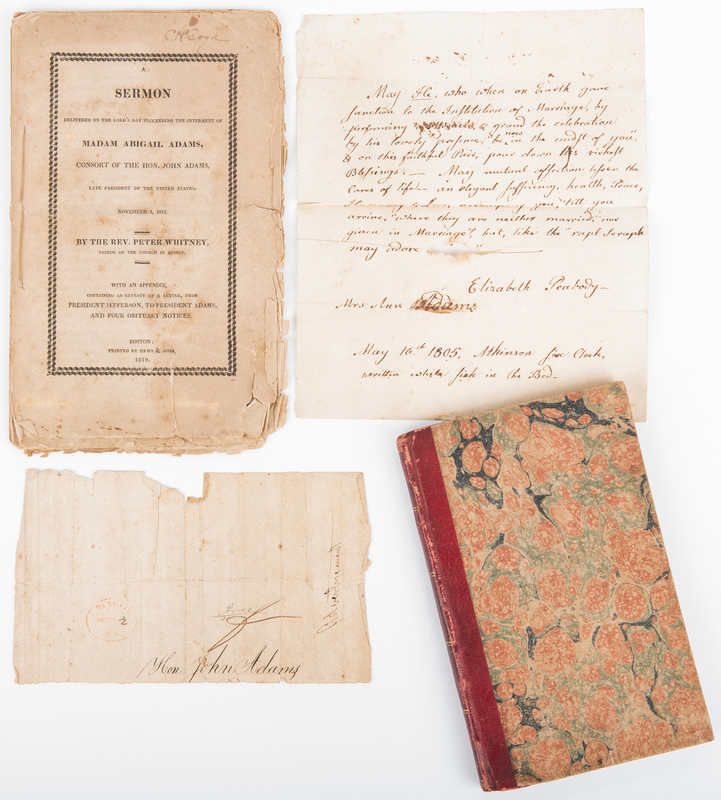 Two inscriptions, one in pencil reading "Ever remember your friends Susan and Elvira Dec 19 1827" and one in ink reading "Emily Dearborn Boyd–from Father. 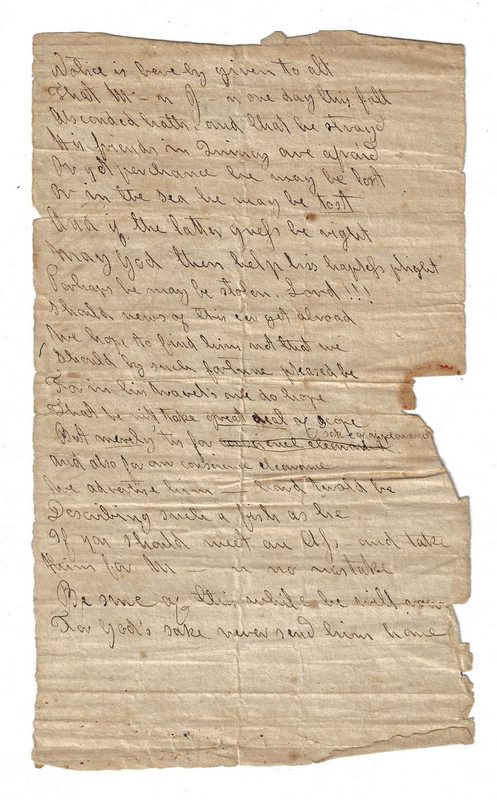 1905–", inside of front cover. 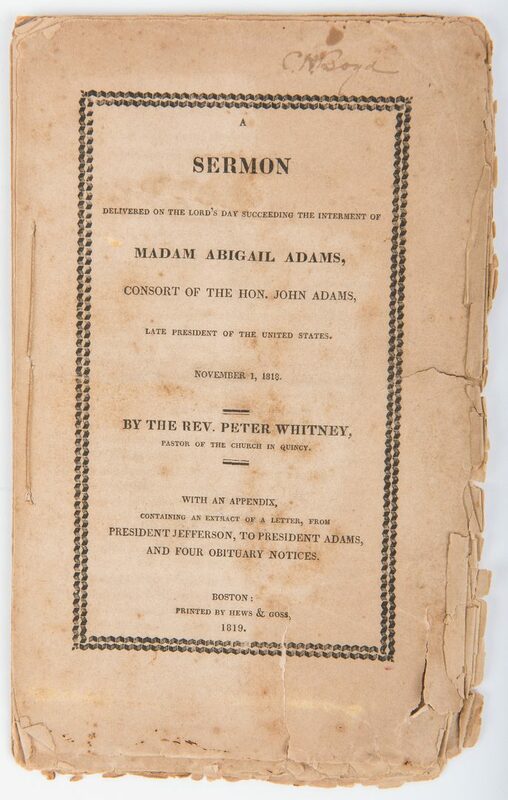 7 3/4" H x 5" W x 1/2" D. 2nd item: Pamphlet titled "A Sermon Delivered on the Lord's Day Succeeding the Internment of Madam Abigail Adams, Consort of the Hon. John Adams, Late President of the United States. November 1, 1818. By the Rev. 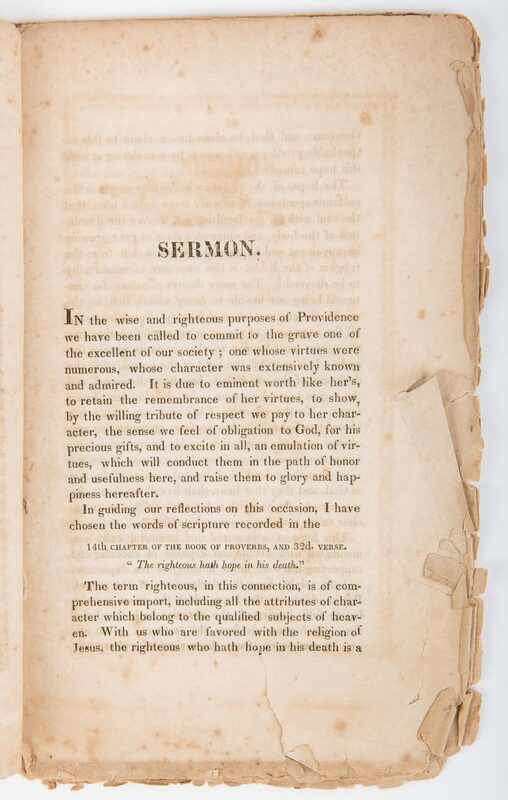 Peter Whitney, Pastor of the Church in Quincy", printed by Hews and Goss, Boston, 1819. 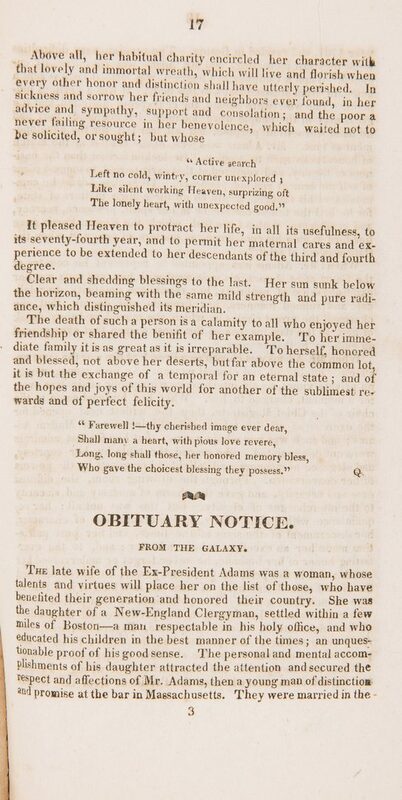 The pamphlet also includes a extract of a letter written to Thomas Jefferson to John Adams from Monticello, November 13, 1818, along with four obituary notices from noted newspapers of the day, including the "Boston Gazette". The pamphlet is inscribed "C.H. 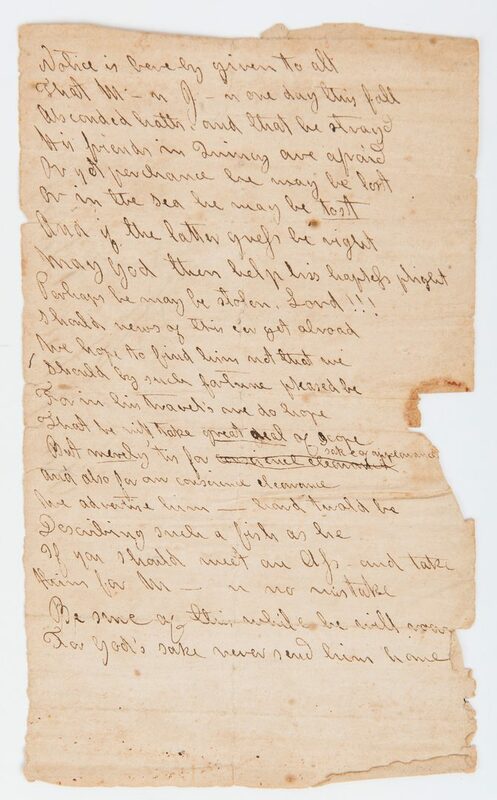 Boyd", for Charles Harrod Boyd, who was Abigail's great-great-great grandson, and contains scattered corrections, written either by Charles or another member of the family. 9 1/2" H x 6" W. 3rd item: Letter from Elizabeth Smith Shaw Peabody, sister of Abigail Adams, to Anna Harrod Adams (1774-1845), wife of Thomas Bolyston Adams (1772-1832), and daughter-in-law of John and Abigail Adams, dated May 16, 1805. 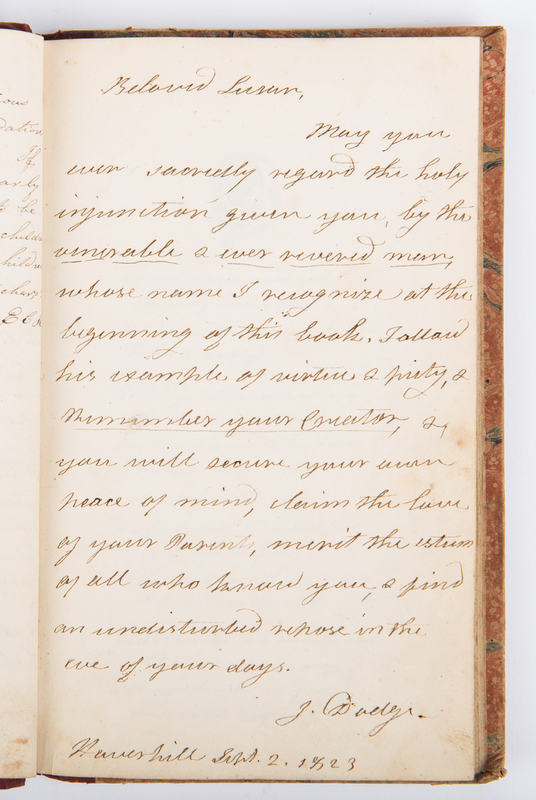 Written less than ten days after Ann's marriage to Thomas, the short letter contains blessings for their union writing "May mutual affection le[s]sen the cares of life…". 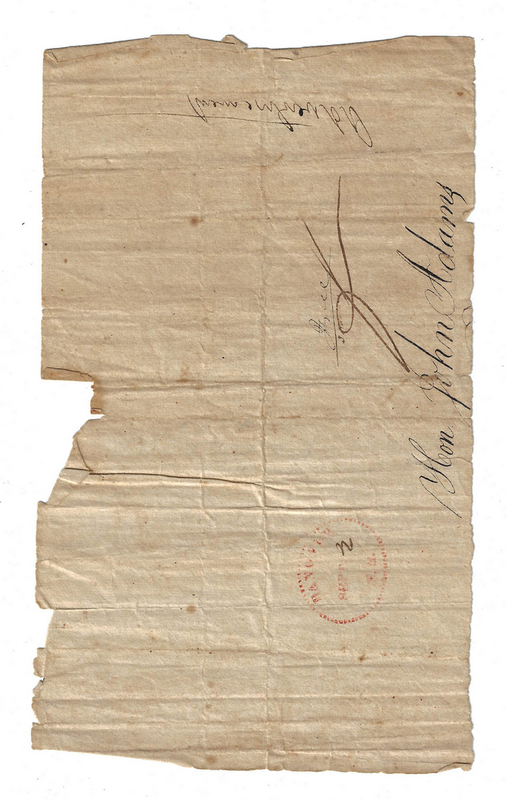 The letter does not contain a direct address but was written in "Atkinson [New Hampshire] five Clock, written while [s]ick in the Bed". 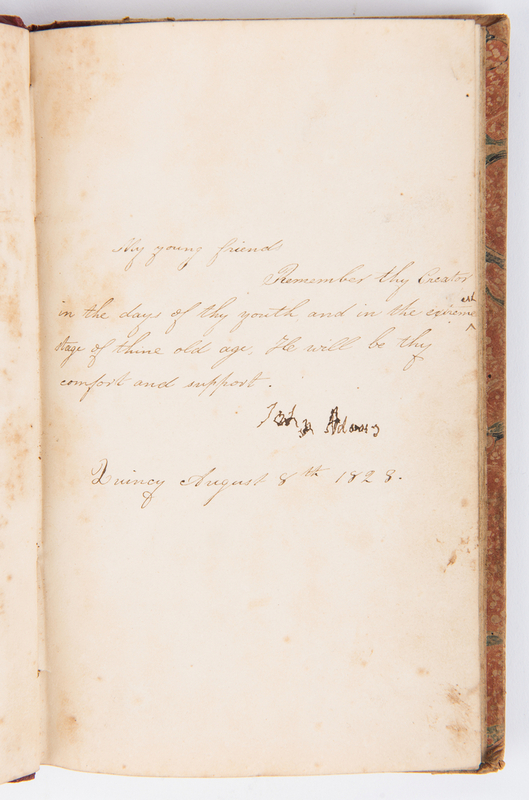 9" H x 7 5/8" W. 4th item: Poem addressed to the Honorable John Adams, possibly written by a friend or relative. Faded postmark stamp from Bangor, Maine, dated September. 7 3/4" H x 4 5/8" W. Provenance: The Estate of Charles Boyd Coleman, Jr., Chattanooga, TN. Descended in his family from Charles Harrod Boyd, son of Susan Dayton Harrod Boyd, who was the daughter of Charles Harrod (1787-1870). 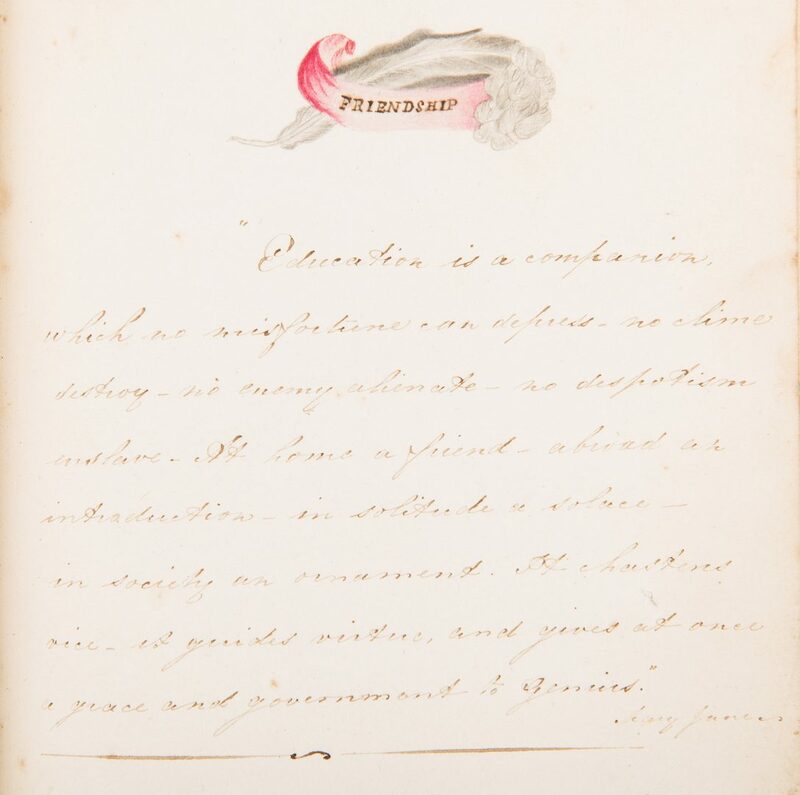 Charles Harrod was the brother of Ann (Anna) Frances Harrod Adams (wife of Thomas Boylston Adams, 1772-1832, the son of President John Adams). Note: Charles H. Boyd's wife, Annette Maria Dearborn Boyd, was the daughter of Greenleaf Dearborn (1786-1846) and great granddaughter of Maj. General Henry Dearborn (1751-1829) on her mother's side. She and Charles Harrod Boyd had four children, including Julia Wingate Boyd, who married Lewis M. Coleman, Jr., Chattanooga, TN, a direct descendant of John Marshall (1755-1835). John Marshall was the Fourth Chief Justice of the United States and also served as Secretary of State under John Adams (1800-1801). CONDITION: 1st item: Overall good condition with areas of dampstaining and foxing spots to be expected from age. 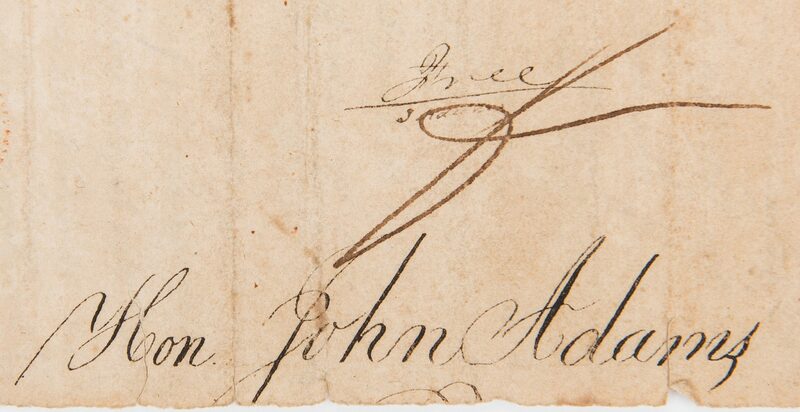 Adams signature, while highly visible, was executed in a shaky hand (Adams suffered from arthritis in his later years). 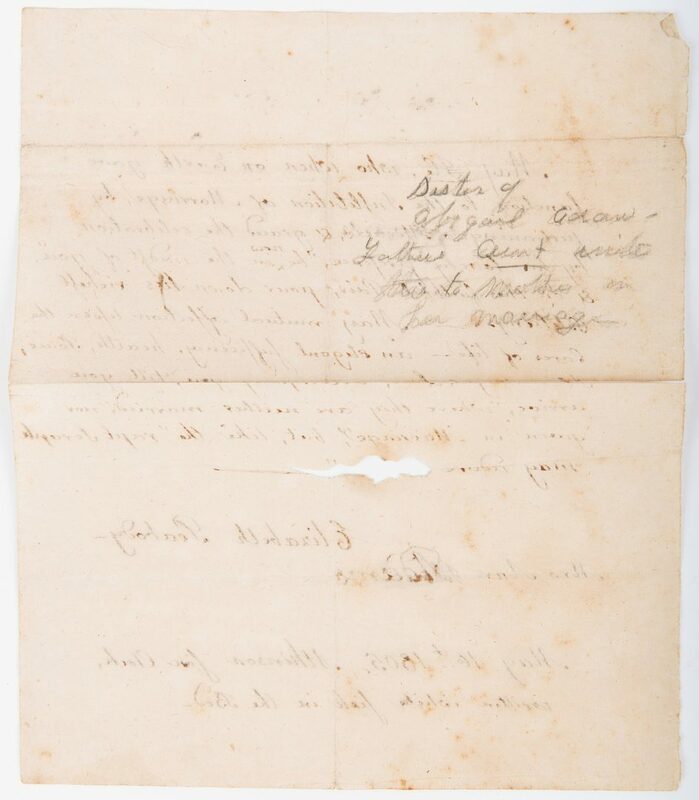 Boyd signature in faded, yet legible condition. 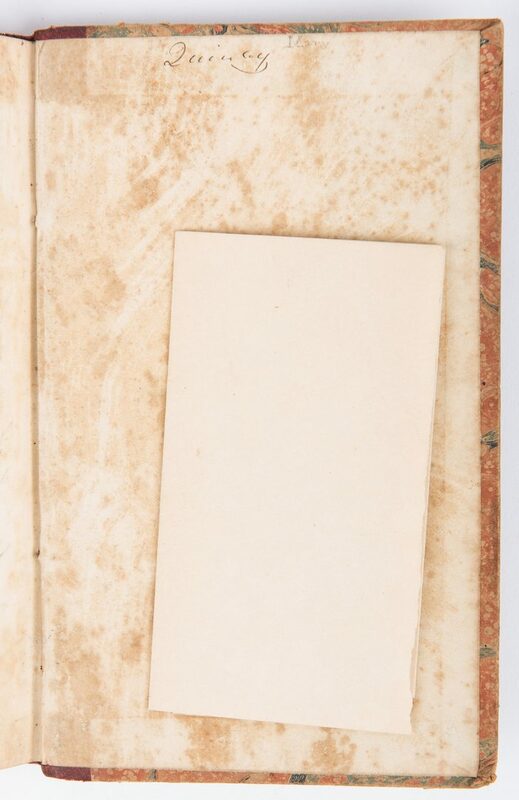 2nd item: Overall good condition with foxing spots and areas of dampstaining to be expected from age. Original stitching intact, final leaf loosely attached. 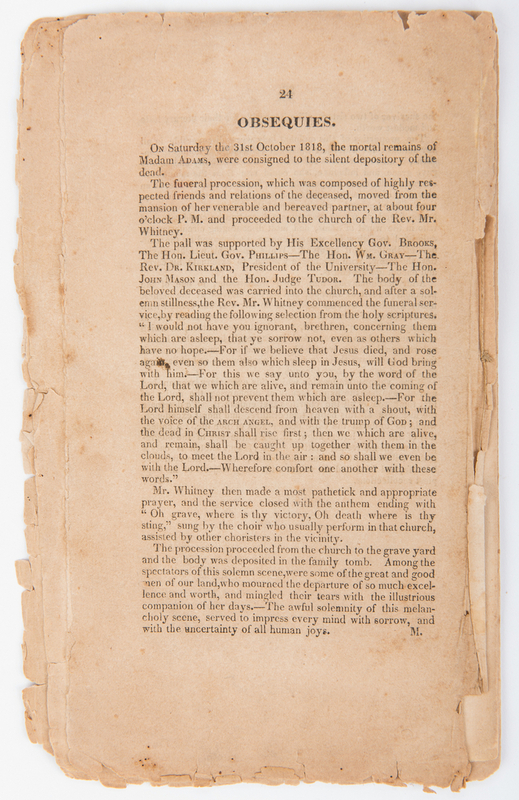 Tears, largest 2", edges of pamphlet. 3rd item: Overall good condition with foxing spots to be expected from age. 1/2" x 1 3/4" tear obscuring the last word of the letter. 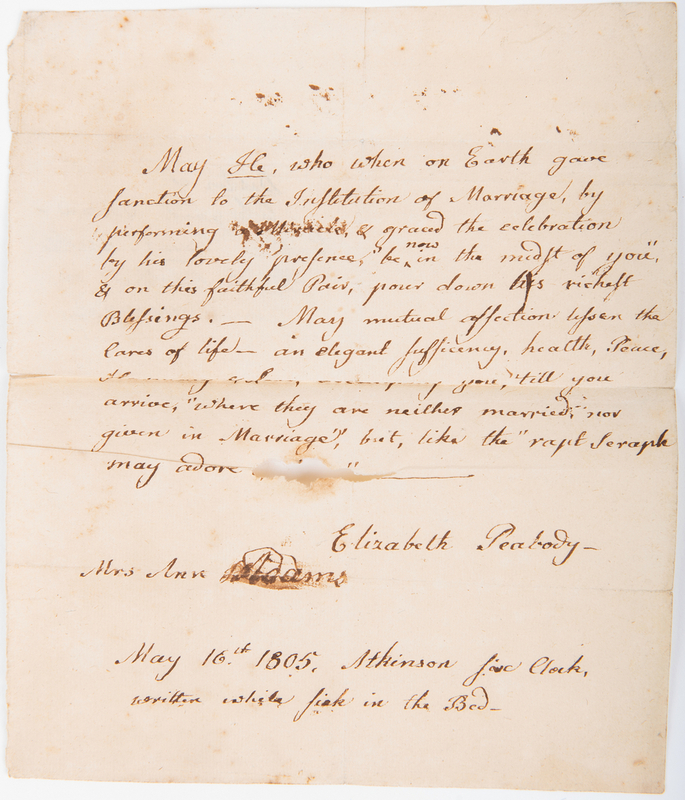 Elizabeth's signature in strong, clear condition. 4th item: Overall good condition with foxing spots to be expected from age. 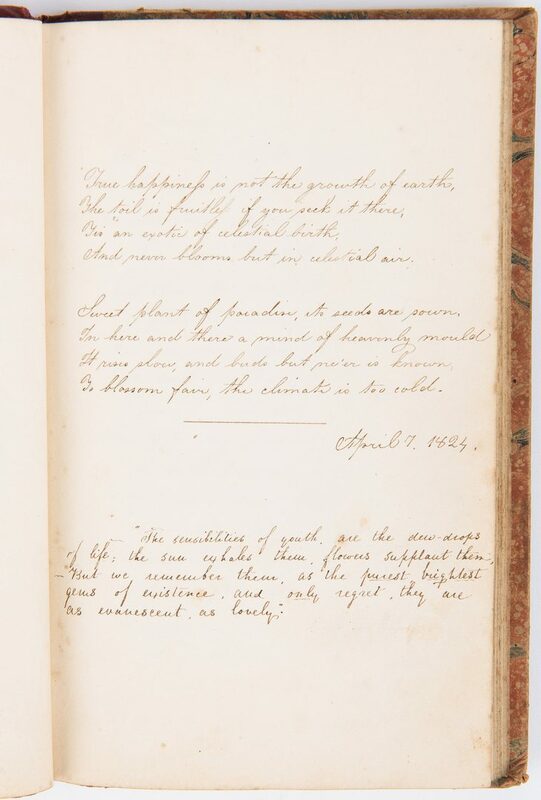 Tears, largest 3/4" x 1 3/8", edges of poem.